The British United Provident Association, otherwise known as BUPA, was founded 1947. Its original goal was to provide people the option to choose where they received treatment in the UK . In 1971, BUPA International was established to provide the same quality of healthcare to expatriates all across the globe. Because BUPA is a provident association it has no investors to satisfy and no shareholders to keep happy. This means that any profits made are reinvested back into the organization in order to improve both insurance products and the standard of healthcare in facilities around the world. Their dedication to making sure customers have access to the highest quality of healthcare services available has enabled them to grow over the years and the BUPA Group now has more than 33 million customers around the world. Over the years BUPA have rolled out new benefits and services for customers that have helped build them into a world leader in the insurance industry. BUPA International alone covers people of 115 different nationalities in over 190 countries around the world. BUPA International's strong global medical networks and exemplary customer service programs earned them the Best International Private Medical Insurance award again in 2008. This makes it the third year in a row and the eighth time since 1999 they have received that honor, demonstrating their commitment to providing the best services around. 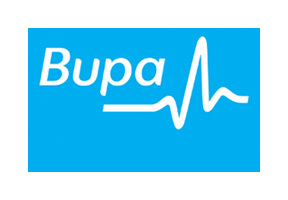 For more information about BUPA plans we offer, or for a free quote on international medical insurance, please contact us today.